This is the history of the restoration of a Mercedes-Benz Fintail, the Mercedes-Benz former E-class model produced between 1961 to 1968. The barn find! 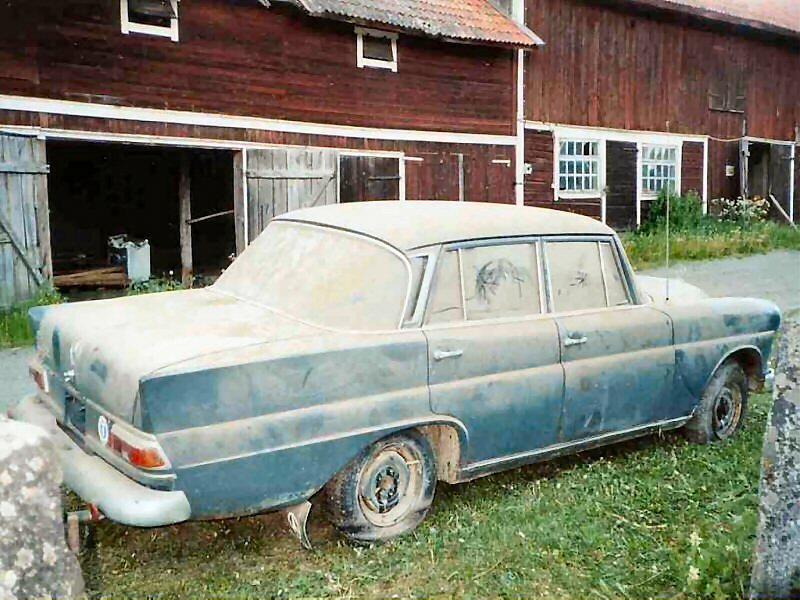 An untouched, all original Mercedes-Benz 200 from 1966 with full history. All documentation where still in the clove compartment. Only two previously owners. First owner registered the car in August 1965. He had it until May 1969 when the former owner bought it. 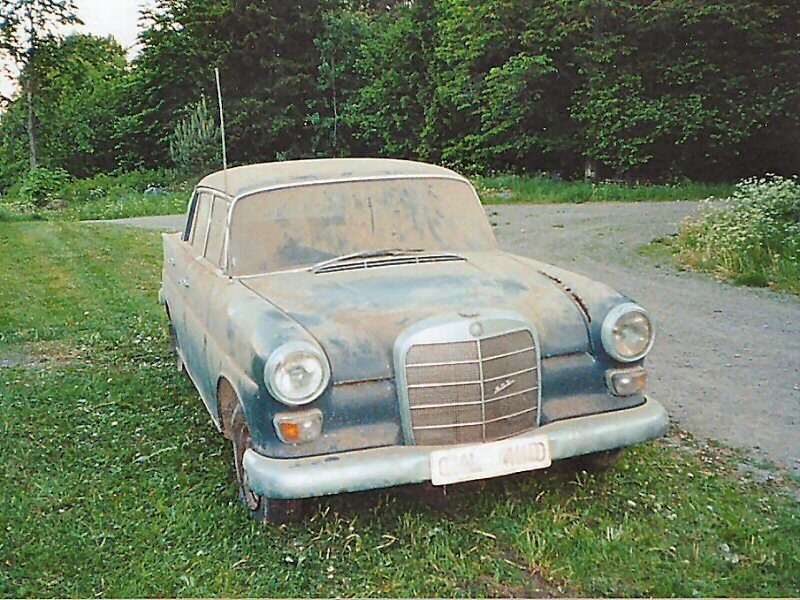 He used it until December 1977, when he bought a newer Mercedes-Benz. It stood in a moistly barn until June 2002, when I picked it up. All the wheels were stuck and flat after more than 25 years in the moist barn. But after some hits from a sledgehammer three of them loosen. With help of a winch we could the pry it on the trailer. 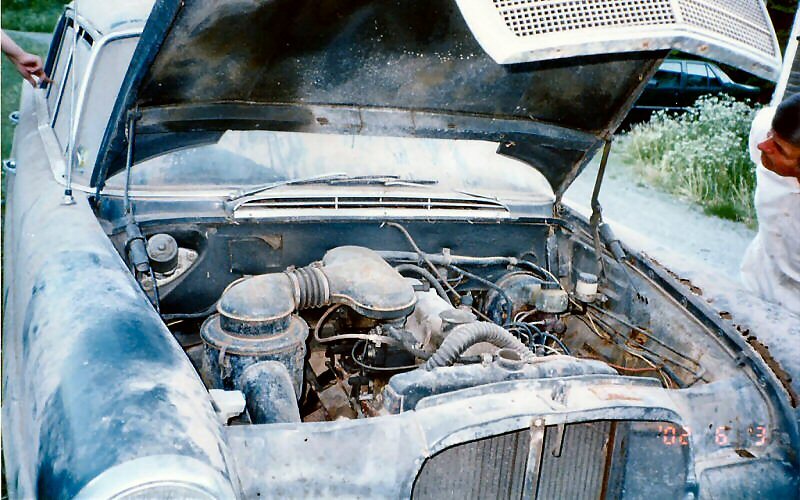 Engine and engine compartment in need of some attention. But all parts were there, only the radiator cap was gone. There were rust on both front wings and the rocker panels but the floor pans and chassis were solid.